Kurt Michaelson: Are You Justified and Made Perfect in Christ? 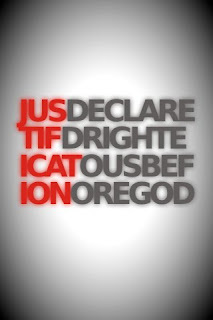 Are You Justified and Made Perfect in Christ? One of my favorite devotional books to read on my Kindle is Charles Spurgeon's Morning & Evening. A few years ago I won a hard copy of the book from WMCA 570 AM radio, revised and edited by Alistair Begg. Spurgeon's Morning and Evening is filled with wisdom and is a delightful book to read as a daily devotion. There are other great devotionals too, like Oswald Chambers' My Utmost for His Highest and David Wilkerson Today, daily devotions from the founder of Times Square Church in New York City. These two devotional messages though from Charles Spurgeon that I read today really do pack a punch regarding the justification of sinners through Christ and the perfection that He has made in them. Christians forget this quite often, but when reminded it is quite refreshing. Unbelievers however, have a difficult time with this that someone else, namely Jesus Christ, is the one whom deserves the credit for making them worthy of forgiveness, redemption and salvation. Unbelievers want God to say that their good works done for Him is worthy of receiving His forgiveness, grace and mercy upon their soul, but that is not what the Bible says. For it is by grace you have been saved, through faith—and this not from yourselves, it is the gift of God— not by works, so that no one can boast. Ephesians 2:8-9, NKJV. I hope you will find these two devotional messages refreshing to your soul and if you have still struggled with trying to find God's forgiveness and grace through your own efforts, stop and look to the finished work of Christ upon the cross. 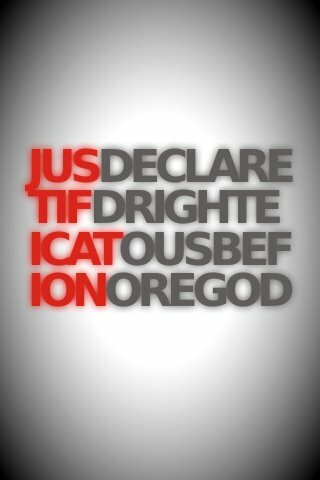 You will see that it is through faith in Him that you have been justified and made perfect before a holy and just God. The believer in Christ receives a present justification. Faith does not produce this fruit by-and-by, but now. So far as justification is the result of faith, it is given to the soul in the moment when it closes with Christ, and accepts him as its all in all. Are they who stand before the throne of God justified now?-so are we, as truly and as clearly justified as they who walk in white and sing melodious praises to celestial harps. The thief upon the cross was justified the moment that he turned the eye of faith to Jesus; and Paul, the aged, after years of service, was not more justified than was the thief with no service at all. We are to-day accepted in the Beloved, to-day absolved from sin, to-day acquitted at the bar of God. Oh! soul-transporting thought! There are some clusters of Eshcol’s vine which we shall not be able to gather till we enter heaven; but this is a bough which runneth over the wall. This is not as the corn of the land, which we can never eat till we cross the Jordan; but this is part of the manna in the wilderness, a portion of our daily nutriment with which God supplies us in our journeying to and fro. We are now-even now pardoned; even now are our sins put away; even now we stand in the sight of God accepted, as though we had never been guilty. “There is therefore now no condemnation to them which are in Christ Jesus.” There is not a sin in the Book of God, even now, against one of his people. Who dareth to lay anything to their charge? There is neither speck, nor spot, nor wrinkle, nor any such thing remaining upon any one believer in the matter of justification in the sight of the Judge of all the earth. Let present privilege awaken us to present duty, and now, while life lasts, let us spend and be spent for our sweet Lord Jesus. Recollect that there are two kinds of perfection which the Christian needs-the perfection of justification in the person of Jesus, and the perfection of sanctification wrought in him by the Holy Spirit. At present, corruption yet remains even in the breasts of the regenerate-experience soon teaches us this. Within us are still lusts and evil imaginations. But I rejoice to know that the day is coming when God shall finish the work which he has begun; and he shall present my soul, not only perfect in Christ, but perfect through the Spirit, without spot or blemish, or any such thing. Can it be true that this poor sinful heart of mine is to become holy even as God is holy? Can it be that this spirit, which often cries, “O wretched man that I am! who shall deliver me from the body of this sin and death?” shall get rid of sin and death-that I shall have no evil things to vex my ears, and no unholy thoughts to disturb my peace? Oh, happy hour! may it be hastened! When I cross the Jordan, the work of sanctification will be finished; but not till that moment shall I even claim perfection in myself. Then my spirit shall have its last baptism in the Holy Spirit’s fire. Methinks I long to die to receive that last and final purification which shall usher me into heaven. Not an angel more pure than I shall be, for I shall be able to say, in a double sense, “I am clean,” through Jesus’ blood, and through the Spirit’s work. Oh, how should we extol the power of the Holy Ghost in thus making us fit to stand before our Father in heaven! Yet let not the hope of perfection hereafter make us content with imperfection now. If it does this, our hope cannot be genuine; for a good hope is a purifying thing, even now. The work of grace must be abiding in us now or it cannot be perfected then. Let us pray to “be filled with the Spirit,” that we may bring forth increasingly the fruits of righteousness. Meyers, R. (2006). e-Sword. The sword of the Lord with an electronic edge (Verson 7.8) [Computer software].